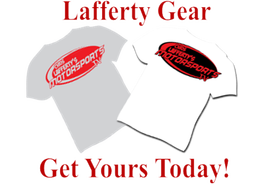 Lafferty Engine Creations was founded in 2002 catering to smaller NASCAR Nationwide Series and NASCAR Southeast Tour teams. Lafferty Engine Creations has grown steadily. Along with complete CNC capabilities, we utilize engine developments latest technology to build the most horsepower and torque available for the racer or hot rod enthusiast! With a great reputation for advancing technology, it is no surprise that the Lafferty Engine Creations team has been a part of the Clevite Engine Builder Challenge, as well as owner Chis Lafferty being a feature writer for a few of the biggest automotive magazines around; Circle Track Magazine, Stock Car Magazine, as well as Speedway Illustrated. 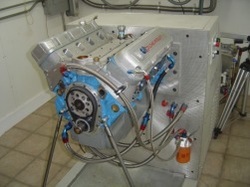 The Lafferty Engine Creations in house Spin-Tron is used to develop new engine combinations for power and durability. Only top NASCAR, NHRA, IRL, and top manufacturers have this equipment! Did You Know - This machine is capable of simulating a race? We can put 500 miles on a combination to prove durability before we ever even go to the race track! Every engine, whether a NASCAR Camping World Truck Series engine, ARCA engine, or one of our street rod engine packages; all are built in this ultra clean assembly room! Did You Know - 75% of all engine failures can be traced back to a dirty build? 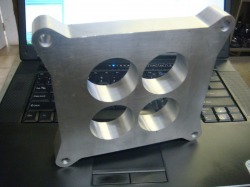 We manufacture parts for our own engines as well as our competitors! Lafferty Performance is a name that insures quality! If we would not race it in our cars, we would not offer it to you. We want the best for everyone! Our in-house Engineering Department is second to none! 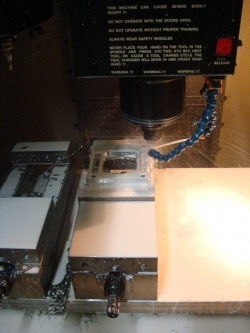 At Lafferty Engine Creations, we utilize the most advanced BobCAD-CAM software to produce everything from engine parts to chassis components. We also provide engineering support for other NASCAR teams! We wanted an engine color that stood out in the crowd! When Chris first started producing engines, he told his friends he wanted an engine color that would identify his from all other engines. A friend told him with a laugh “Why don’t you make your engines pink? Everyone has black, blue, and red but no one has pink, yellow or green!” There are even purple engines being manufactured! Chris finally decided to go with CAT yellow just like the diesel engines. Now, not only does the engine quality make it stand out, but the color make it one in a million! 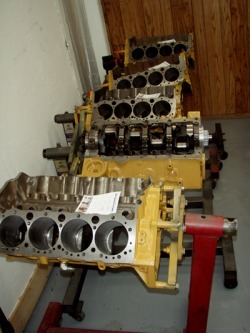 Lafferty Engine Creations makes every effort to build our race engines with the utmost quality and care. We take that same care and quality when building engines for our customers, but racing is very demanding and abusive therefore we do not offer any warranty at all. We make no guarantees as to any capable use of any parts or labor. It is soley at the discression of the customer to choose the intended purpose of product or service. Our quality and reputation speaks for itself, but in the event that there is a question concerning workmanship, we will be glad to address any issues. Before rectification can be made any engine or engine part in question must be returned to Lafferty Engines Creations within 30 days of date of pick up (or with LEC approval) to be examined by management. If in fact it is deemed by Lafferty Engines Creations that there is fault in workmanship then we will, at our discretion, repair, replace or refund applicable monies. Any and all past invoices must be paid in full before any rectifications will be considered.